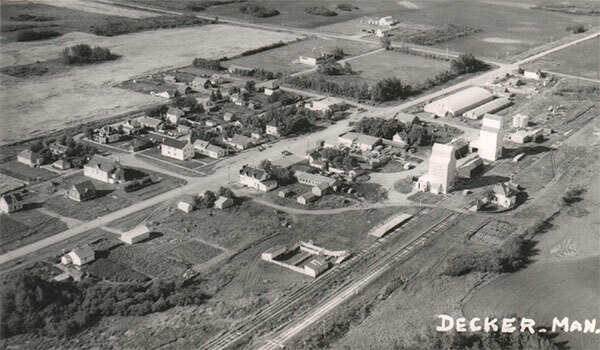 This community was named in commemoration of William H. Decker, who around 1910 sold land to the Canadian Northern Railway for a station and townsite here. The railway station closed in 1958 and the last train at Decker was on 16 December 1978, after which the line was abandoned. The two grain elevators were demolished in February 1983. Go here for a list of historic sites in Decker. This page was prepared by Gordon Goldsborough and Blaine Little.